Thirty-one percent of Lyme disease patients presenting with an erythema migrans rash remained in severe pain after three weeks of treatment with doxycycline, according to a 2017 report published by Johns Hopkins School of Medicine in the journal Archives of Clinical Neuropsychology. The severe pain persisted at six months for several patients. The actual numbers of patients with severe and moderate pain were described in sufficient detail it the article. In an article entitled “Doctor Says You Are Cured, But You Still Feel the Pain. Borrelia DNA Persistence in Lyme Disease,” Cervantes, from Paul L. Foster School of Medicine, Texas Tech University Health Sciences Center, addresses the persistence of pain as the result of Lyme disease. 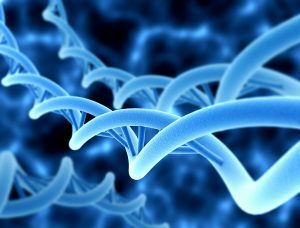 Bb-DNA can persist for long periods of time in some individuals, even after antibiotic therapy, says the author of a new study. Cervantes encourages attention to the use of DNA-binding AMPs to limit chronic manifestations of Lyme disease. AMPs may also “increase the ability of human macrophages to efficiently remove extracellular spirochetal DNA,” Cervantes says. “Cartilage is a tissue that lacks vasculature, providing the perfect sanctuary for Bb to escape from immune cells present in the bloodstream. Bb can then remain ‘hidden’ in the extracellular matrix,” he suggests. Therein lies the $64,000 question: Can we be sure persistent DNA does not represent persistent infection? Cervantes J. Doctor says you are cured, but you still feel the pain. Borrelia DNA persistence in Lyme disease. Microbes Infect. 2017. 3 Replies to "'Doctor says you are cured, but you still feel the pain.'" Thank you Dr. Cameron for that thought. My experience tells me that persistance lives and damage often stays along years of recovery. Dr. Cameron, I’m so glad that my uncle told me about you and your website. I live in Clinton Ct, I had an awful experience with Lyme disease in 1989 a very long story. Basically most of the doctors that I saw were still pretty clueless and it took almost a year to figure out what it actually was. By then one Doc called it acute Lyme disease. They had set up a Lyme disease clinic at the UCONN health center and that’s where I ended up going, I saw numerous infectious disease doctors and neurologists. I’m still trying to find out if all the symptoms I still suffer from are the residual effects of the disease or just normal aging (aches & pains)ect… I want to know if there are any blood tests that I can have after all these years that will show any new results or diagnoses. Your story is all to common. The tests still remain problematic. Doctors often have to use their clinical judgment.